Did you know that more people are checking their chat apps than they are checking their social media accounts? Facebook Messenger, the world’s largest mobile messaging app (with more than 1.3 billion monthly active users) offers a massive business opportunity to marketers. 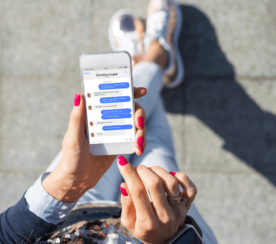 By leveraging chatbots, brands now have the power to automatically engage with Messenger users. This makes the mobile messaging app a perfect channel to connect, nurture, convert and up-sell customers. But how can you make everything work? On May 23, I moderated a Best of SEJ Summit webinar presented by Larry Kim, CEO of Mobile Monkey. Kim shared actionable strategies on how to leverage Facebook Messenger using chatbots in 2018 and beyond. A report from BI Intelligence revealed that there are more monthly active users on the top four messaging apps (Messenger, WhatsApp, WeChat, and Viber) combined than there are on the top four social networks (Facebook, Instagram, Twitter, and LinkedIn). The marketing opportunity is massive, yet only 1 percent of businesses can automatically engage with customers via messaging. Focusing on Facebook Messenger makes sense because it has the largest active user base out of all mobile chat apps, not to mention they allow for the usage chatbot APIs. Facebook Messenger marketing has the best engagement rate for any marketing channel right now. If you think about email marketing, you know you’re doing well if you can get an open rate of between 5 and 10 percent. On social media, organic post reach is now typically between 0 and 1 percent because of aggressive spam filters. On the other hand, Facebook Messenger boasts open rates of 70-80 percent within the first hour. 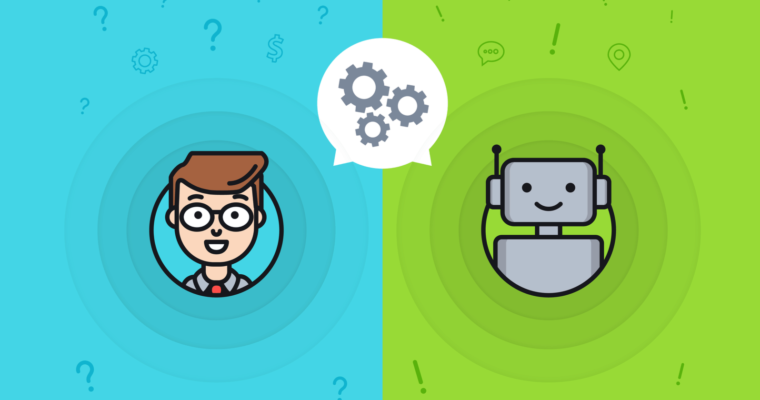 Compared to live chats, customer support via Facebook Messenger chatbots is a better solution for customers because they don’t have to wait on long queues just to address their needs. Facebook Messenger chatbots can be used for a variety of purposes. For one, a Q&A chatbot can answer users’ frequently asked questions. 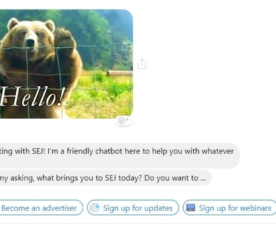 Aside from this, chatbots can also be used for chat blasting where you can easily broadcast messages via Facebook Messenger to anyone who has already messaged your Facebook Business Page. This function can be used to deliver content like blog posts, webinars, or news about your business. Chat blasting is conversion-friendly as it produces open rates as high as 75 percent. This is because the content that you can deliver over chat is substantially more engaging and interesting than what you send over just one-dimensional emails. Example of a chatbot-powered conversation taking place via Facebook Messenger. Customize using the Facebook Messenger API. Use a visual chatbot builder. 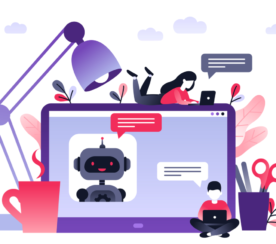 Using a visual chatbot builder is an alternative for marketers who have minimal programming knowledge as it enables one to create the content using a WYSIWYG editor. Dynamic Chat Content (e.g., forms and quick questions): This type of content enables you to deliver more dynamic experiences to users. For example, to get the user input. The chatbot provides users with menu options to choose from. This is helpful because it offers them a scope of what the automated bot is capable of handling. No menu is provided. The chatbot asks open-ended questions and the users can type in whatever they want. The bot then analyzes what the user is asking for and will try to find a response that matches the user’s question or query. For this to work, trigger keywords should be added when you create your chat pages. The chatbot AI analyzes the intent of the user request then serves the correct page you previously created. Tip: Periodically Review All “Unanswered Questions” and either create new content or point those user queries to existing content. Once you have implemented your chatbot, you can chat-blast anyone who messages your Facebook page (subject to a few restrictions), as well as gather their contact information. You will also be able to send immediate chat blasts or schedule a Messenger drip campaign. If a user types in “Unsubscribe”, “Stop” or other words related to opting out, then you have to honor those requests. The user can also block you. If your numbers are bad you might get banned. When a person sends your bot a message, you have up to 24 hours to send as many messages (promotional or non-promotional) as you want. Every time the user messages you back, the clock resets. Tip: Send messages that provoke responses! You can blast unlimited non-promotional messages, such as new blog posts, shipping updates, event reminders, etc. Apply for exemption if you are sending news, reminders, or personal trackers. Using the Facebook Messenger Send to Messenger Plugin can help you get more Messenger subscribers, instead of just collecting email subscribers. You’ll simply copy and paste the plug-in code into your website forms. You can attach autoresponders to specific or all your Facebook posts such that if anyone comments on your page, you can message them back through Messenger. And if they then respond to that message, then they are opted in to Messenger. Here is an example. Create a link for your chat sign-up page and include that to all your communications or blog posts as a call-to-action. Embedding the Facebook chat application on your website can greatly increase your Messenger contact list. This is also beneficial instead of using website live chat widgets where you have no way of reconnecting with the visitor especially if they did not initiate the live chat. Marketers usually use Traffic and Engagements as objectives for their Facebook Ads campaigns. However, it is better to focus on Messages. “Send to Messenger” is a new and substantially valuable ad format that allows users to engage with you and opt-in for messaging. You are also able to get their contact information. promotional content to your existing Messenger contacts. You can narrow down your audience according to location or another requirement. “Sponsored Message” ads do not show up in news feeds; they only show up in Messenger chat conversations, as though a friend was messaging the user (like a sponsored push notification). Live Operator Takeover: Jump in on a conversation at any time. Facebook Ads: Convert ads at 3-5x higher conversion rates. Contact Manager: Get everyone’s name, location, photo, language, etc. Website Plugins: Use Facebook Messenger plugins such as Checkbox Plugin, Website Popup, Link Plugins, etc. Contact Hack: Gather your bot users’ information. Q&A: Automatically answer commonly asked business questions. Desktop-centric marketing automation requires marketers to capture email addresses via landing pages and then the system sends out email drip campaigns afterward. On the other hand, when implementing mobile marketing automation, you can capture chat IDs via mobile pop-ups and automatically engage via chatbot. 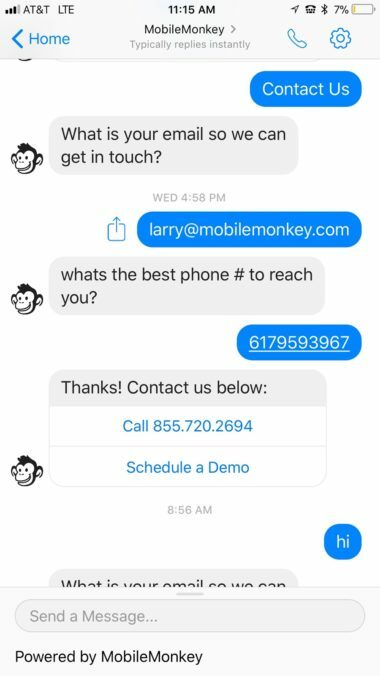 Facebook Messenger chatbots can be used all throughout the user journey to qualify leads, convert users, and nurture customers. Using chatbots, you can easily broadcast messages via Facebook Messenger to anyone who has already messaged your Facebook business page. This function is helpful in delivering content like blog posts, webinars, or news about your business. In-Post Screenshots by Mobile Monkey.